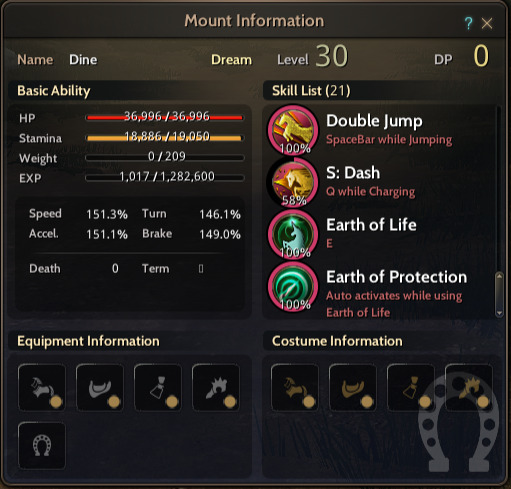 GM Note - Dream Horse Diné! 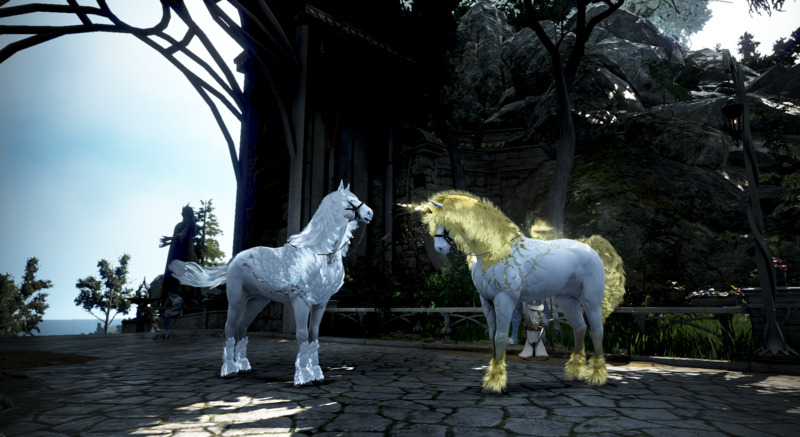 Dream Horse ‘Diné’ was added through the Kamasylvia Part 2 update. It’s a Dream Horse that looks like the unicorn in legends. A way to get the Dream Horse you want when awakening a courser was also added. Today, we’ll introduce the newly added Dream Horse and the way to get the Dream Horse you want in this GM note. The unique feature of the newly added Dream Horse Diné has a horn that makes it look like the unicorn in legends. Diné uses its sacred horn to give buffs to allies in the surrounding area. What kind of abilities does ‘Diné’ have? The Dream Horse Diné can learn the following skills. Slowly recovers HP and Endurance while it is parked. Recovers 200 HP and 100 MP(EP)/WP/SP every 3 seconds for 30 seconds of the owner and up to 10 allies in the surrounding area. Out of the skills listed above, Diné is born with Courser's Spirit, Double Jump, and Earth of Life. The skills S: Charge and Earth of Protection can be learned by chance as it grows. Additionally, Diné runs in the desert with its normal speed and can use skills like in any other region. So we have Arduanatt that allows its rider to soar through the sky, and Diné that strengthens your allies with buffs and runs in the desert without any penalties. Which one do you prefer? ▶ How can I get the Dream Horse I want? Before you could only get Arduanatt when your Tier 8 courser awakened after training it in the three categories, Skill, Elegance, Strength and the trainings added up to 200%. The update added the Dream Horse Diné, allowing you to be able to get 1 of 2 Dream Horses. So the awakening system now allows the Adventurer to control which Dream Horse will come out. You can increase your chances by a maximum of 90% by training the courser to gain high Skill training to get Arduanatt or high Elegance training to get Diné. Try focusing your courser’s training on Skill or Elegance to get the Dream Horse you want. Diné is a Dream Horse that gives life with every step it takes! 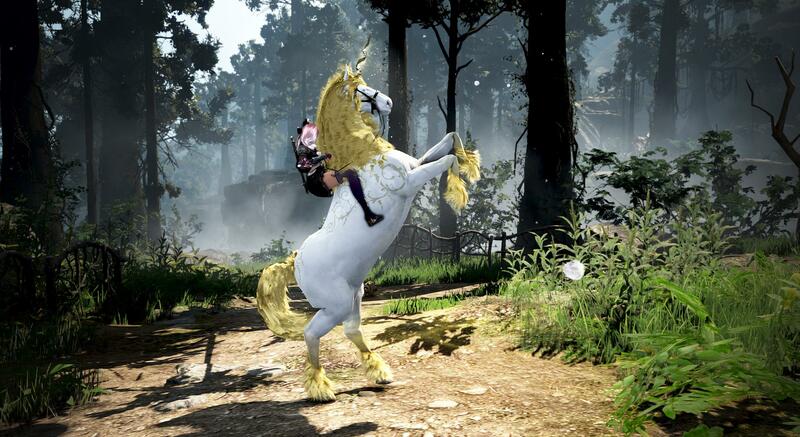 Enjoy Black Desert by awakening the Dream Horse you want using the new awakening system.